At Made In Hackney it's not just our kitchen cupboards that are plant-based and sustainable - but our beauty kits too and we're always on the look out for new tips and tricks. After being inspired by a fantastic talk of theirs at Vevolution, we invited William and Anna Brightman, co-founders of vegan beauty brand brand Optiat - that utilises waste coffee grounds in their fab products - to give us their top five sustainable beauty swaps. Enjoy! Here at Optiat we believe that you shouldn’t have to choose between doing the right thing and getting the best results. Nature gives us lots of wonderful ingredients that make our skin healthier and more radiant – like used coffee grounds and hemp seed husks. But often, they end up going to landfill. Why should all that good stuff go to waste? It shouldn’t. That’s why, at Optiat, we give leftover natural ingredients a new lease of life, turning them into beauty products your skin will love. We’re saving coffee grounds from landfill, one espresso at a time. We go to London’s finest cafes and restaurants collecting up their used coffee grounds and giving them a new lease of life in the form of our sustainable coffee body and face scrubs. Our organic face mask range is also made using hemp seed husks, a natural by product of the manufacture of hemp. So you get to enjoy the benefits of nature’s own skin rejuvenators – and do the planet some good, too. Rummage Through You Kitchen Cupboards! You would be amazed what everyday kitchen ingredients can be used to vamp up your beauty regime. 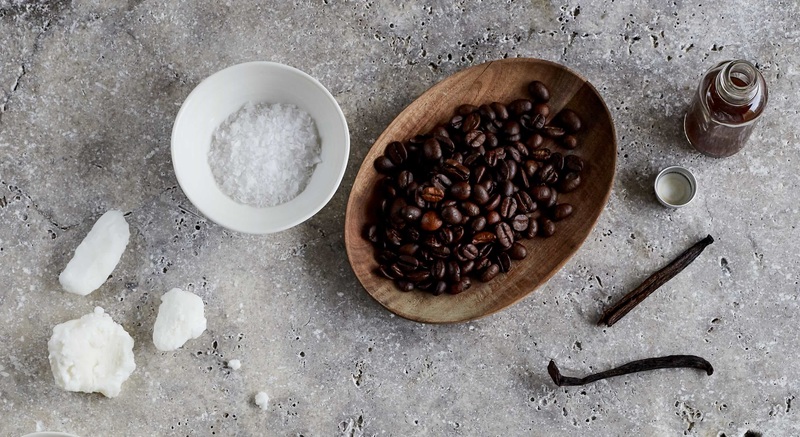 So, if you ever run out of your favourite Optiat coffee scrub, rest assured that your kitchen will most likely contain ingredients that when combined will serve your exfoliating needs. Your porridge oats might be the perfect solution, or the coffee grounds from your morning cuppa. If you’re feeling a little more adventurous go for seeds like kiwi seeds or poppy seeds – all of these make wonderful exfoliants. Similarly, if you’ve got a tired bouquet of flowers in your home then use the petals to create your own rose water toner or simply sprinkle them into your next bath! Once you’ve found an oil that works for your skin you can really start to get creative, replacing all your products with your own much simpler concoctions. Take coconut oil for example, add water and you’ve got yourself an amazing makeup remover / makeup brush cleaner. Add avocado or cacao and you’ve got a moisture-rich face mask, whip with shea butter and you’ve got a body butter – the possibilities are endless – get experimenting! Try to make sure that the packaging of your products is recyclable and made with responsibly sourced ingredients. Sadly, this can be trickier than you might realise at first glance, with lots of paper or aluminium packaging lined with thin plastic films which make them even harder to recycle. The easiest thing to do is to look for packaging which is as minimal as possible – no need for a game of Pass The Parcel, unwrapping layer after layer to reveal your product buried deep within. 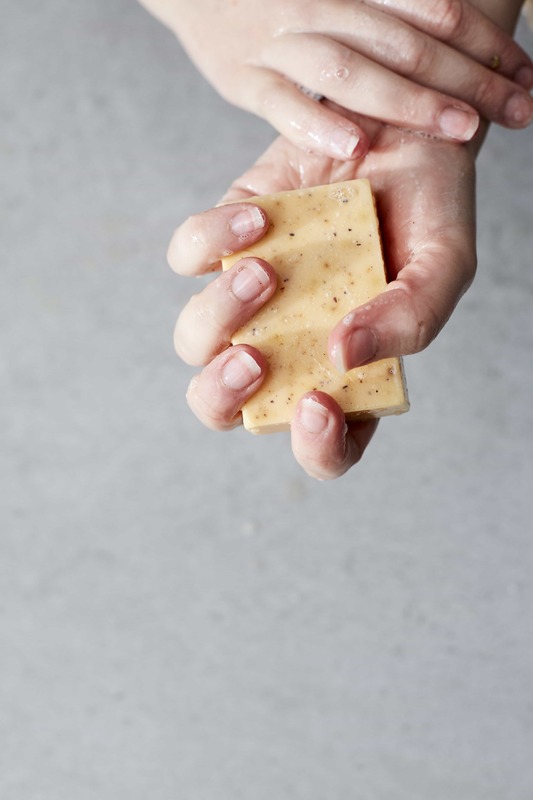 Not so long ago bar soap was largely associated with being the old fashioned option, but this is certainly not the case anymore! Bar soap has made a comeback. It is officially hip and trendy – plus it’s a more sustainable option than liquid soap (when done right), so it’s a win win! Soap bars last much longer and tend to have a lot less packaging than liquid soap, meaning you get a lot more usage from your purchase. We are excited to be bringing out a new range of organic palm oil free soap bars this November, made from repurposed chai spices. The chai spices have been used to brew tea, but they still smell amazing, so rather than them going in the bin we have used them in our brand new soaps! Thankfully microbeads are by and large now a thing of the past. Remember the days where you’d crack open a product and within it you’d see hundreds of tiny blue specks? It didn’t seem to matter what it was either: face-scrub, check. Body wash, check. Toothpaste, yep. Those were the heady glory days of the microbead, thankfully banned in the UK since January 2018. But what if you still need a deep exfoliating fix - are there organic replacements available? In a nutshell, the longer you have an item, the more uses it gets, the more you drive a circular economy. And if you can create your own quality skincare product from ingredients that you already own then why not give it a go? Take pride in what you choose to put on your skin and if you can extend the life of a natural ingredient then that can only be a good thing!